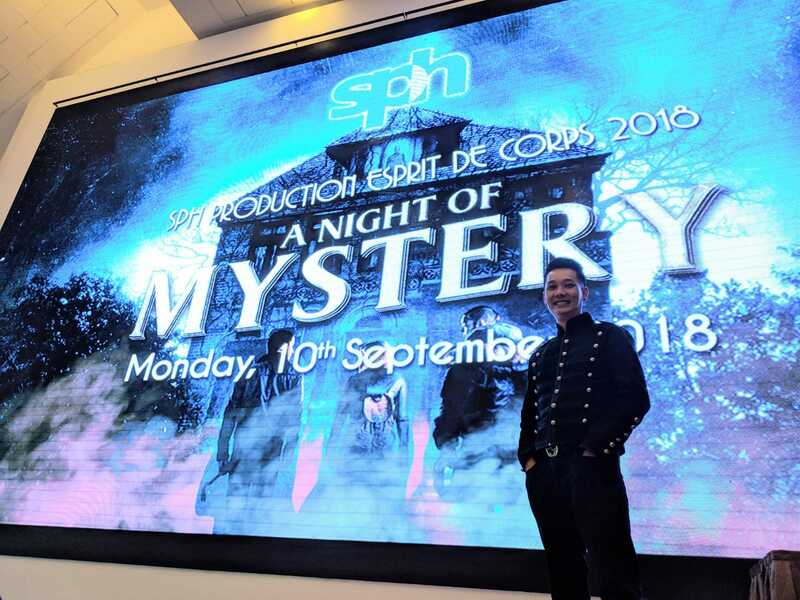 Looks like Halloween is here earlier as SPH decided to go along with a spooky and mysterious theme. The dinner and dance was held at the Hilltop Garden Restaurant and we had lots of pre activities like a snake charmer, green screen photobooth (with amazing artwork), a roving magician and for stage entertainment, the guests were amazed by the very dashing, cool and classy, Mentalist, Ferris Yao. I dressed up in a gothic style outfit to suit the theme for the night and backing me up was my good buddy DJ Kenny. Ending the night, we had a fear factor challenge (SPH style of course), which kept the audience at the edge of their seats. Big thanks to EOs for your tremendous support and also a huge thank you to all the guests from SPH for appreciating what we do as entertainers. Hope to see all of you next time! If you would like Sherman Tang to be your emcee for your next event, please contact your preferred Events Organisers for bookings. It was another wet day, but that didn’t affect the spirits of the wonderful people of Fraser Property Limited. The family day was held at the Science Centre which is a great location for family bonding. There were lots of stall/booth activities and the guests also could view the exhibits in the Science Centre. Backing my up that day was DJ Eddison. 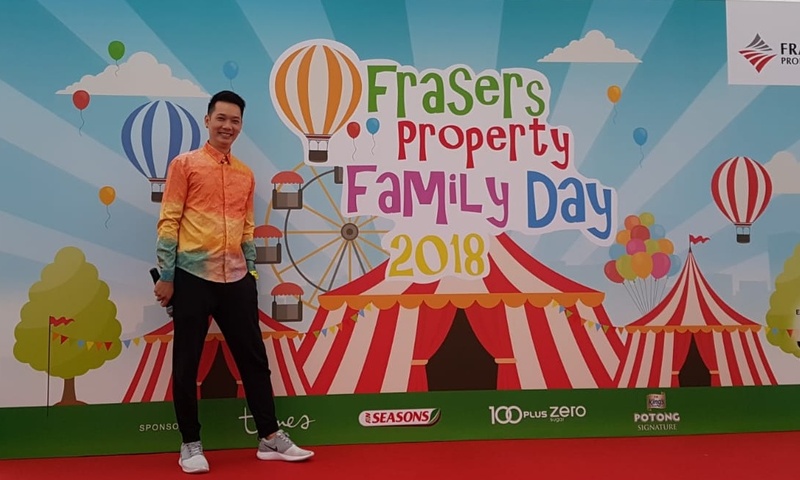 Big thanks to EOs and the good people of Frasers Property Limited. Hope to see all of you next time! If you would like to have Sherman Tang to be your emcee for your upcoming event, please contact your favourite Events Planners for bookings. 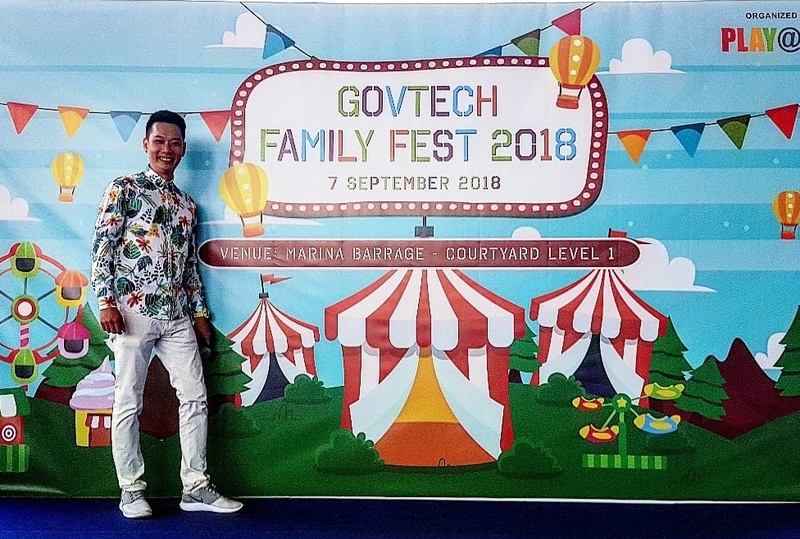 Its weird that the rainy season is here this early in the year but that didn’t dampen the spirits of the good people of Govtech. The crowd today was a relatively huge crowd, 1900 pax to be exact. Backing today was DJ Eddison. Big thanks to EOs and Govtech for having me. Till next time! If you would like Sherman Tang to be your emcee for your upcoming event, please contact your preferred Events Organisers for bookings. Please view Sherman’s promo videos below. 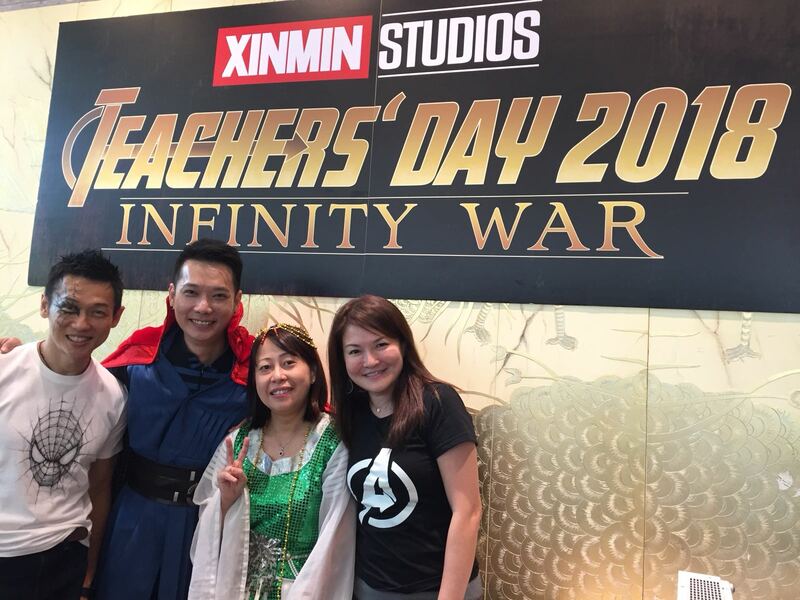 It Teachers’ Day celebration time with the amazing people of Xin Min Secondary. Majority of the staff put in tremendous amount of effort to dress up based on the theme. The lunch celebration was held at the Sua Tao restaurant in Serangoon Gardens Country Club and I emceed the event in my favourite Dr Strange costume. Backing me that afternoon was my good buddy DJ Felix. Big thank you to EO and the fun bunch of Xin Min Secondary. Happy Teachers’ Day! Looking for an emcee for your upcoming event? You may want to consider Sherman Tang. Contact your favourite events organisers for booking today!